Hi all. I am curious about your thoughts on my Bridgestone XO-3. I have looked through the Bridgestone catalogs that I found linked in these forums (thank you!) and figured out that it's a 1994, which fits with when I bought it from The Missing Link in Berkeley (I'm in MA now). It's always been stored inside, but I've never treated it with kid gloves, so the paint has a few dings here and there. I think everything is original. I know that none of the major things have been swapped out. Please let me know if there are other photos that would be helpful to see. Thanks so much in advance! Are these just Hybrids? or are they 700c Mountain bikes like the Bianchi Project bikes? They were an early attempt at what would we would now call a gravel bike. The Bianchi Project bikes are another example. 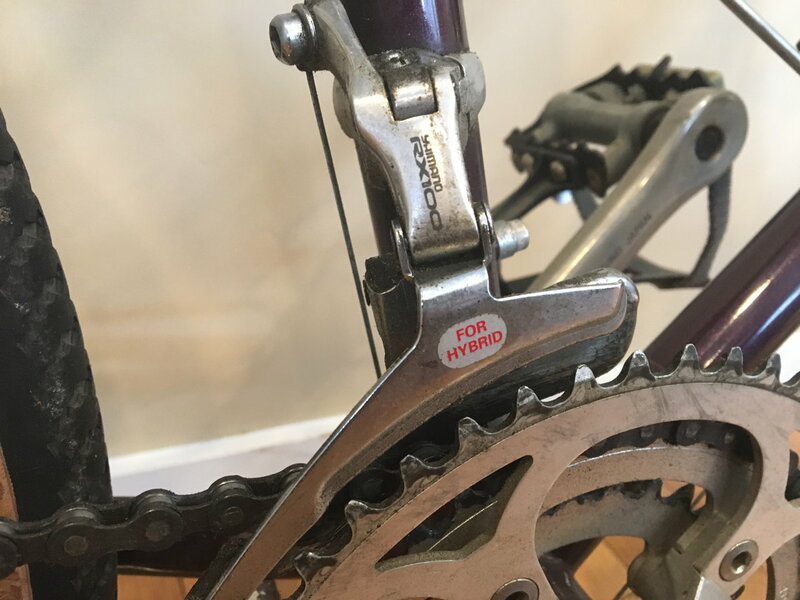 Some of the XO bikes came with 700c wheels but this one (as did the higher end ones like the XO 1 and 2 for most years) were essentially road bikes (road geometry) with 26 inch wheels. 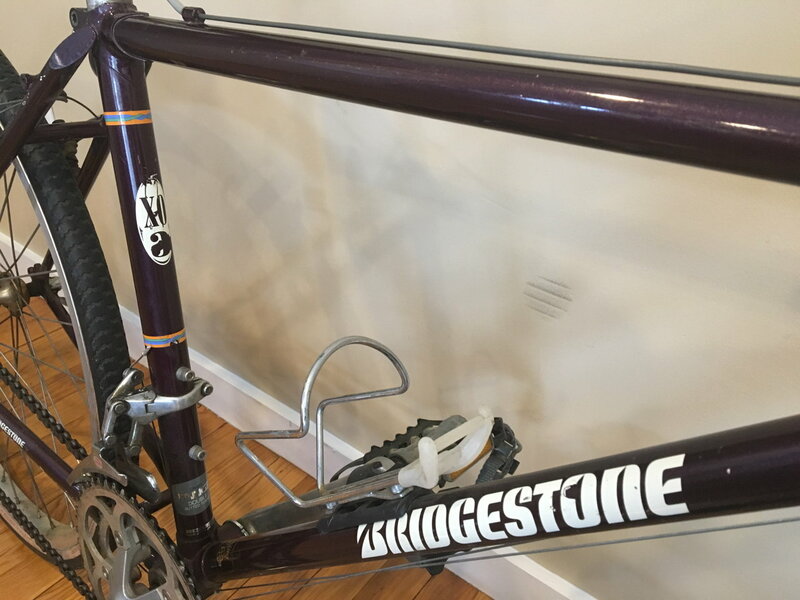 If you wanted fat tires back in the 90s that was a good choice. They were marketed as "fire road" bikes or do anything bikes. They ride great. I have a '93 XO 2 and it came with stock bars. It's a fine all around machine. 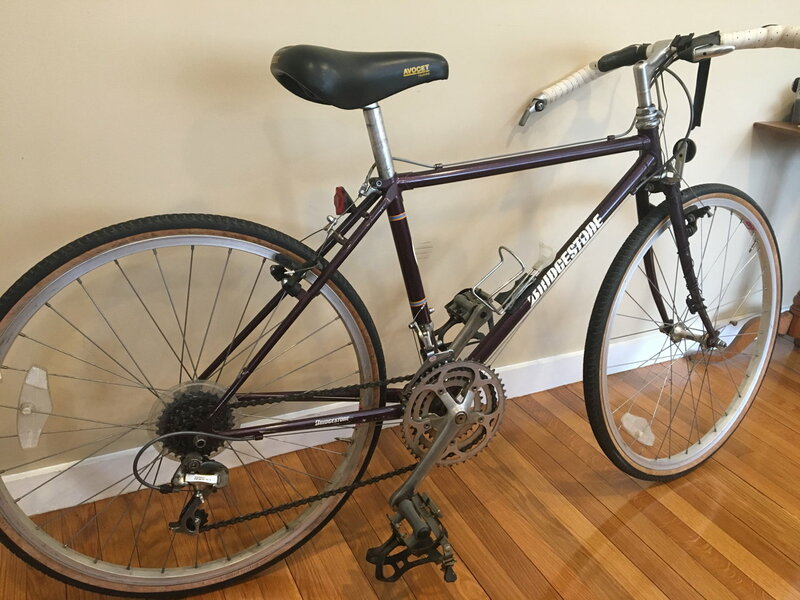 MA, especially the greater Boston area, is a high dollar town for used bikes and bridgestones command a premium. I'd ask $500 and adjust downward as needed. 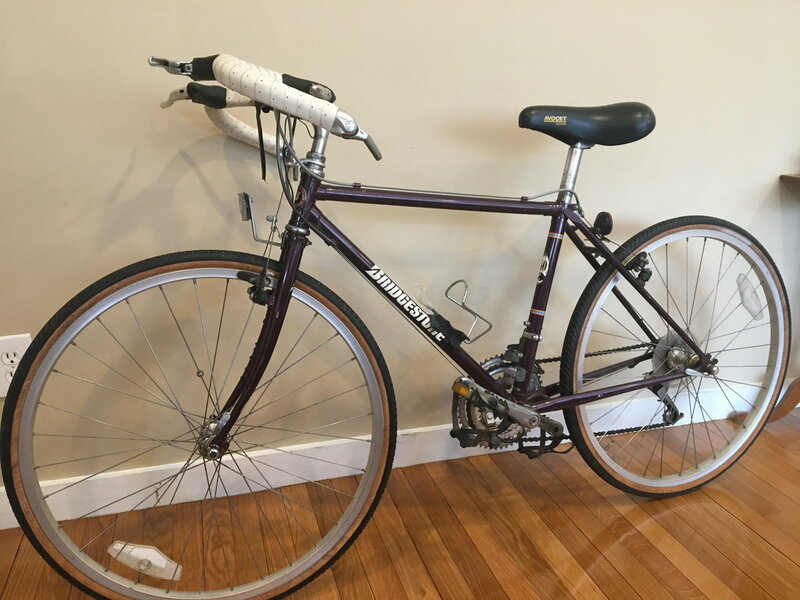 It's a really nice bike, it's in very decent shape, and it's a bridgestone which is why you should get a decent price for it. The size might hurt the value though as it is a small bike. Thanks so much! 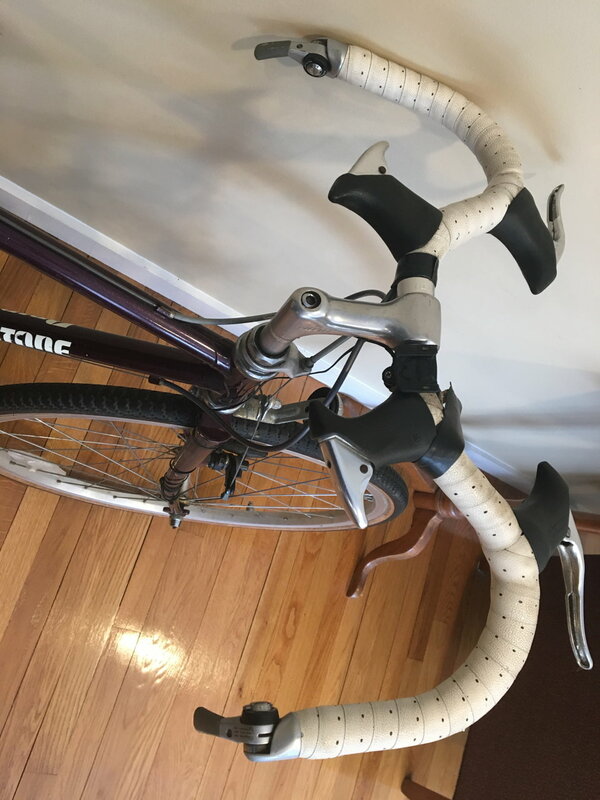 I can remember the whole conversation in the bike shop about why this was a good choice, and it maps on exactly to what those of you who know better than me say in these forums. It's nice to know it's held a little value over the years. It has certainly served me well!